In the current production of Be More Chill, an unpopular high school student named Jeremy (played by Will Roland, center) swallows a pill (which is actually a microcomputer) in order to be more, well, chill. The show moves to Broadway in early 2019. 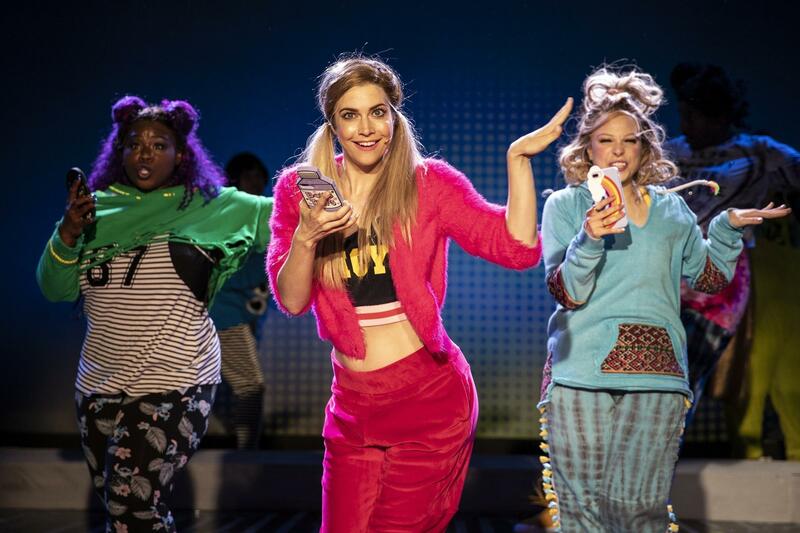 Katlyn Carlson (center), who plays the school's most popular girl Chloe, has been with Be More Chill since its initial production. Its premise is simple. What if you were an unpopular high school student and you could take a pill — which is actually a tiny computer called a Squip — to make you popular? To, you know, be more chill? It's a cautionary tale, but, really, what teenager hasn't wished for something like that? Carly Heitner, who is from Long Island, just started her sophomore year in college, but she discovered Be More Chill when she was in high school. She now follows and posts about the show on social media. "It is a high school story that I think – obviously, being 19, it's super-easy to relate to everything in the show," Heitner says. "There's a little bit of anxiety in everybody in the show, and it's so common today to have those feelings. This is just so relatable. It really is." That teenagers find Be More Chill relatable is what convinced Gerald Goehring to produce it. That, and some astonishing stats — Goehring says the cast album has received "well over" 160 million streams. "How do you plan this?" Goehring says. "How do you market to this? You don't." To try to capture the Be More Chill phenomenon, I went to see the show with superfan Carly Heitner. She chatted with other fans in the lobby before the curtain: Julia Kesack from Philadelphia, Dylan Sklar from Long Island and Carly Ann Purcell from New Jersey. Heitner: So obviously the show is huge on social media. Have you been a part of that? Kesack: Yeah. I've tweeted about it. I'm definitely going to post about it on Instagram after I see it. Heitner: Who's your favorite character of the show? Sklar: Probably Michael. I'm wearing the shirt Michael wears during the Halloween scene when he sings "Michael in the Bathroom." Purcell: It's just one of my favorite numbers in the show. Like, I've seen a few bootlegs of the original production online. And I can definitely relate to Michael being someone who isn't all that social, gets uncomfortable at parties, like, in group events. Joe Iconis wrote the score for Be More Chill. He says he's overwhelmed by the fan culture. "I've gotten so many gifts, all of which I keep," he says. "Like, one of the coolest things to me is the idea of people making art based on my art. So every picture that people make or story that they write or — I mean, I've gotten multiple bobbleheads." A big part of the fan experience happens after the show. Many of them stand in a long line by the stage door to get autographs and selfies with cast members and give them fan art. Thirteen-year-old Carly Anne Purcell was "freaking out" as she spoke to Carly Heitner. "The lighting and the sound is actually real — like more than any other Broadway show I've seen," Purcell says. "I've seen Hamilton, and still — the sound and the lighting and all the effects did not compare to that. It just couldn't." Actress Katlyn Carlson has been with the show since it premiered in New Jersey three years ago. "It's incredibly special and fortunate and rare to be part of something that means so much to so many people," Carlson says. "It's kind of mind-blowing." "I mean this was me for Rent, back in the day," she also says. Of course, Carly Heitner got photos and autographs from all the cast members she met — and posted them on Twitter and Instagram. "It's not just the show," Heitner says. "The show is amazing, but it's the social media outpour, it's the cast members connecting with the fans and reaching out to them and actually caring about them. And I think that's what makes the community of Be More Chill what it is and why it's such a special show." Be More Chill will be moving to Broadway this winter and its enthusiastic young community is sure to follow. 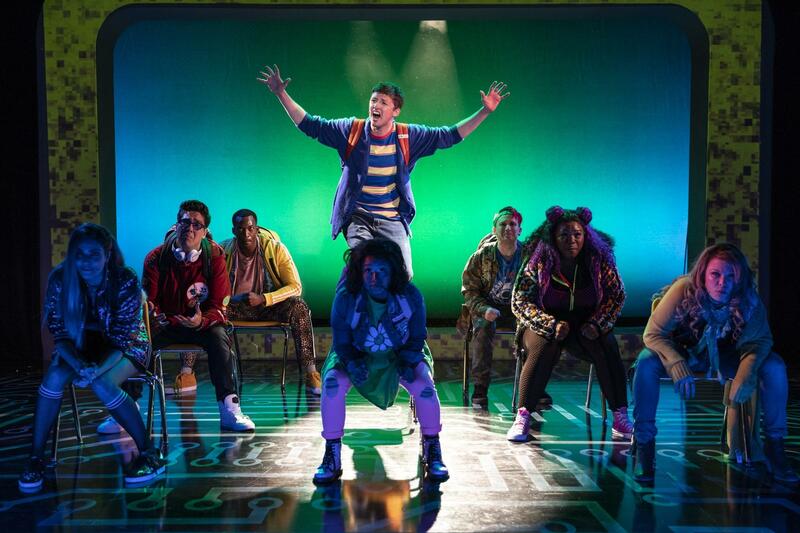 When the teen musical "Be More Chill" opened in New Jersey a few years ago, it got a ho-hum critical response. But then something surprising happened. The cast recording and some YouTube videos went viral. Next came fan art, fan fiction and fan song covers on social media. By the time the show opened off-Broadway last month, it had sold out entirely. As Jeff Lunden reports, this sleeper hit is now headed to Broadway. JEFF LUNDEN, BYLINE: The premise of "Be More Chill" is simple. What if you were a high-school student who was unpopular, and you could take a pill, which is actually a tiny computer called a Squip, to make you popular, be more chill? LUNDEN: It's a cautionary tale. But, really, what teenager hasn't wished for something like that? CARLY HEITNER: It is a high-school story that I think - obviously, being 19, it's super-easy to relate to everything in the show. LUNDEN: Carly Heitner of Long Island just started her sophomore year in college. But she discovered "Be More Chill" when she was in high school and now follows and posts about the show on social media. HEITNER: There's a little bit of anxiety, like, in everybody in the show. And, like, it's so common today to have those feelings. This is just so relatable. It really is. WILL CONNOLLY: (As Jeremy Heere, singing) Because I don't want to be special. No, no. I just want to survive. 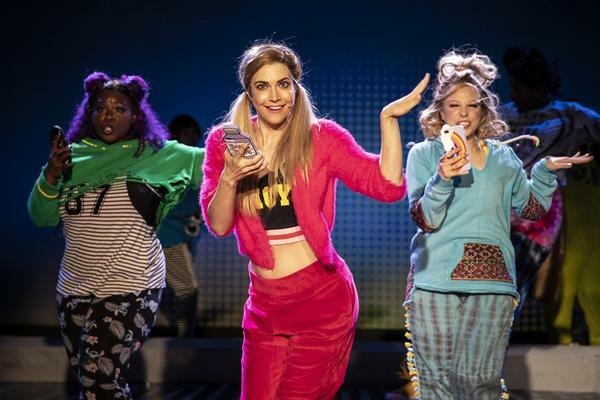 LUNDEN: That teenagers find "Be More Chill" relatable is what convinced Gerald Goehring to produce it - that and the astonishing stats of how many streams the cast album has received. GERALD GOEHRING: Now we're well over 160 million streams. How do you plan this? How do you market to this? You don't. LUNDEN: In fact, Goehring says the off-Broadway run sold out without a penny of traditional advertising, just a social media presence. To try and capture the "Be More Chill" phenomenon, I went to see the show with superfan Carly Heitner. She chatted with other fans in the lobby before the show. HEITNER: So obviously, the show is huge on social media. Have you been a part of that? JULIA KESACK: Yeah. I've tweeted about it. I'm definitely going to post about it on Instagram after I see it. HEITNER: Who's your favorite character in the show? DYLAN SKLAR: Probably Michael - I'm wearing the shirt Michael wears during the Halloween scene when he sings "Michael In The Bathroom." GEORGE SALAZAR: (As Michael Mell, singing) I am hanging in the bathroom at the biggest party of the fall. I could stay right here or disappear and nobody'd even notice at all. CARLY ANNE PURCELL: It's just one of my favorite numbers in the show. Like, I've seen a few bootlegs of the original production online. And I can heavily relate to Michael being someone who isn't all that social and gets uncomfortable at parties, like, in group events. LUNDEN: That's Julia Kesack from Philadelphia, Dylan Sklar from Long Island and Carly Anne Purcell from New Jersey. Joe Iconis wrote the score for "Be More Chill." He says he's overwhelmed by the fan culture. JOE ICONIS: I've gotten so many gifts, all of which I keep. Like, one of the coolest things to me is the idea of people making art based on my art. So, like, every, like, picture that people make or story that they write or - I mean, I've gotten multiple bobbleheads. LUNDEN: A big part of the fan experience happens after the show. Many of them stand in a long line by the stage door to get autographs and selfies with cast members and give them fan art. Thirteen-year-old Carly Anne Purcell was trembling as she spoke to Carly Heitner. PURCELL: I'm sorry. I'm freaking out. HEITNER: No, it's a totally normal reaction. It's an amazing show. PURCELL: Yeah. The lighting and the sound is actually really - like more than any other Broadway show I've seen. I've seen "Hamilton." And still, the sound and the lighting and all the effects did not compare to that. It just couldn't. KATLYN CARLSON: I mean, this was me for "Rent" back in the day. LUNDEN: Actress Katlyn Carlson has been with the show since it premiered in New Jersey three years ago. CARLSON: It's incredibly special and fortunate and rare to be part of something that means so much to so many people. It's kind of mind-blowing. LUNDEN: And, of course, Carly Heitner got photos and autographs from all the cast members she met and posted them on Twitter. HEITNER: It's not just the show. The show is amazing. But it's the social media outpour. It's the cast members connecting with the fans and reaching out to them and actually caring about them. And I think that's what makes the community of "Be More Chill" what it is and why it's such a special show. LUNDEN: "Be More Chill" will be moving to Broadway this winter. And its enthusiastic, young community is sure to follow. For NPR News, I'm Jeff Lunden in New York. CONNOLLY: (As Jeremy Heere) Be more chill - I mean, chill. Be more chill. UNIDENTIFIED SINGERS: (As characters, singing) Be more chill. Transcript provided by NPR, Copyright NPR.